Home Behind Enemy Lines Free political prisoners Chip Fitzgerald and Ruchell Magee! 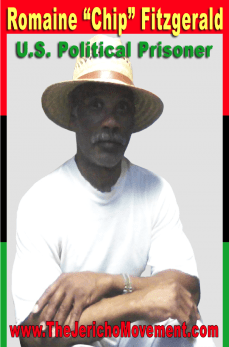 The Block Report interviews former political prisoner and current All of Us or None organizer Arthur League about his comrades, political prisoners Chip Fitzgerald and Ruchell Magee. We also discussed the history and assassination of political prisoner Hugo Yogi Pinell, last August 12, ’15 in New Folsom. Tune in for more of the Block Report at BlockReportRadio.com. Here you will be glad to know that here we are having one of the best portal which will let you know how do I find out file explorer in windows 10. Try out for once surely you will be having all useful information.